The road is a long one - it is sometimes a solitary one. But we aren't called to traverse it alone. Along the way, God sends us like-minded and like-hearted individuals who see the same vision and are pursuing the same mission. 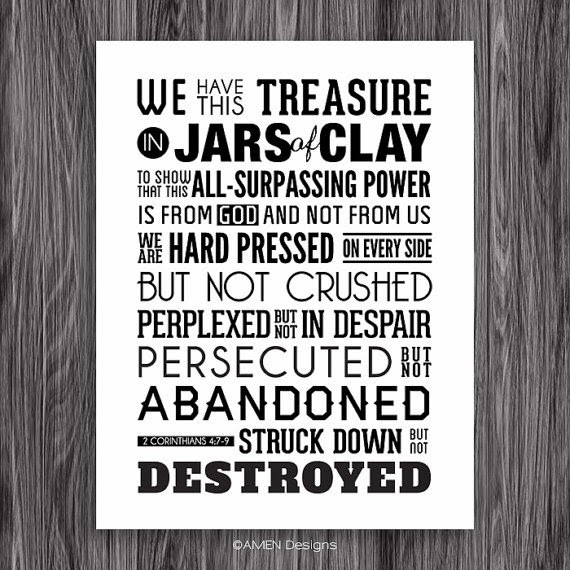 How amazing it is to know that if we are willing, we can be the 'jars of clay' that bear the overflowing treasure of God's love and truth everywhere we go. It is a life of adventure, challenges, laughter and tears. The stars illuminate the brightest when the night is darkest.